Redfish School of Change has a new Blog! Redfish has a blog! For the 2018 summer season, we are launching a new blog in order for students to document their experiences in the field. Our intention is to give Redfish students a public forum in which they can synthesize their insights, lessons, intentions, and stories. This will be a multimedia project: students can write essays, use photography, illustrations, video, or audio. Expect immersive storytelling told from the heart about the conversations that matter to these citizens of the Salish Sea. 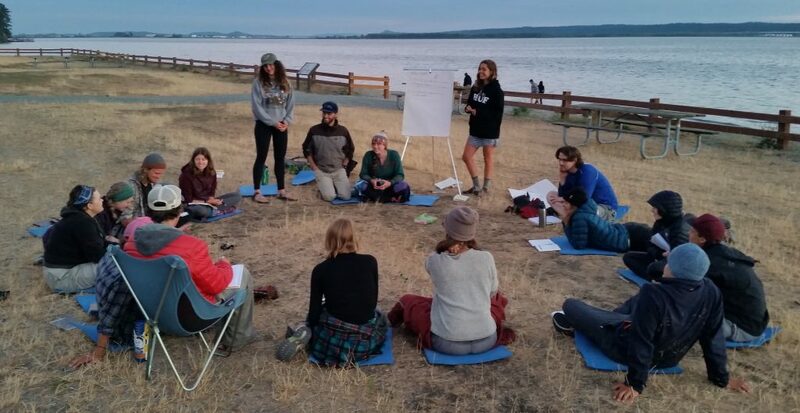 create a community forum for the public to more meaningfully engage with the work that Redfish does in connecting students to communities in the Salish Sea. Beginning June 29th, expect a new blog post each week from a different Redfish student. Thank you for joining us on this journey. Please follow this blog as we navigate the spaces and places of this precious bioregion, learning and living in community, creating positive social and ecological change in the Salish Sea. Onward!